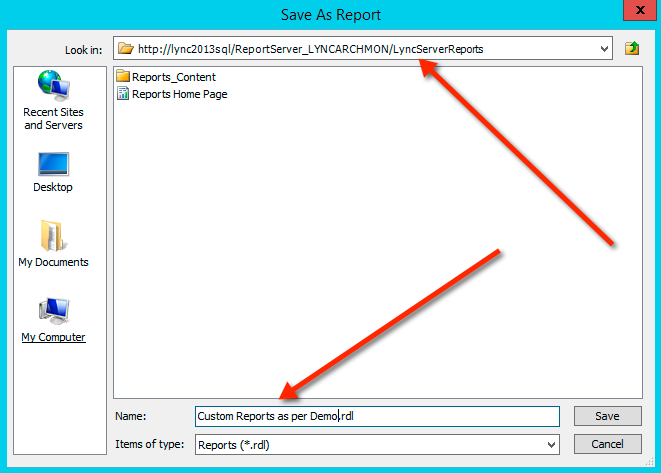 I haven’t seen much around guides on how to create custom reports for Lync 2013 so i thought it would be good to share the mechanisms on how to do this with the native Monitoring reporting tool which can be co-located with the Lync 2013 frontend. For this guide I’m running a Lync 2013 Frontend patched upto CU version January 2014, and SQL Server 2012r2.. All servers are running windows 2012r2 and patched unto date. ok now we have navigated to our browser page lets select the report builder option. 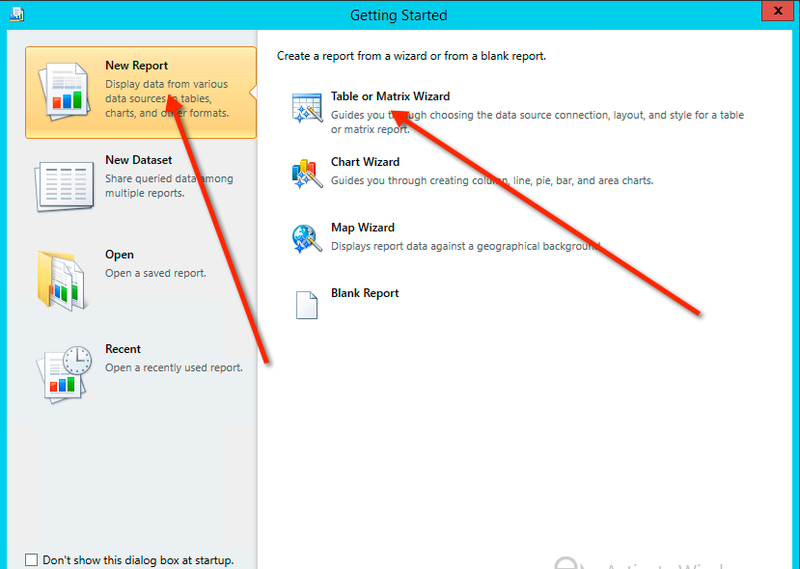 Once installed or when the new dialog appears – Now select ‘new report’ as this is what we are wanting to do. 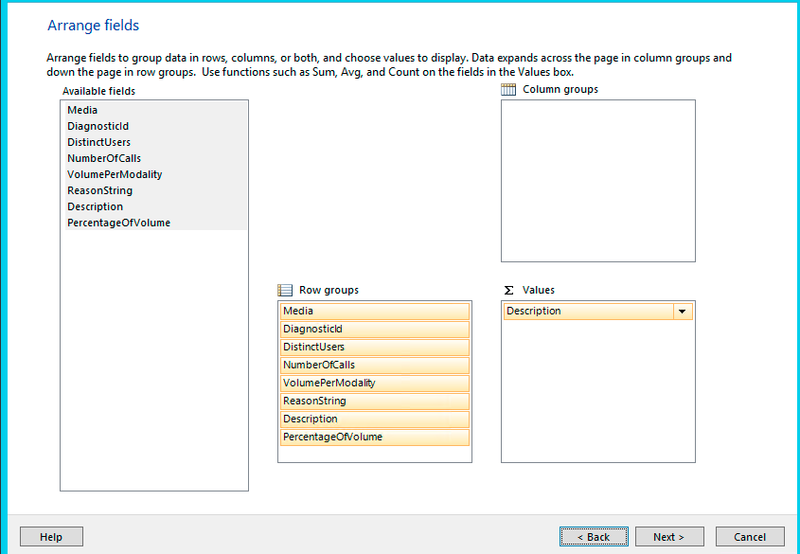 Once you’ve selected the table wizard, accept the default dataset ‘create a dataset’ and click next. 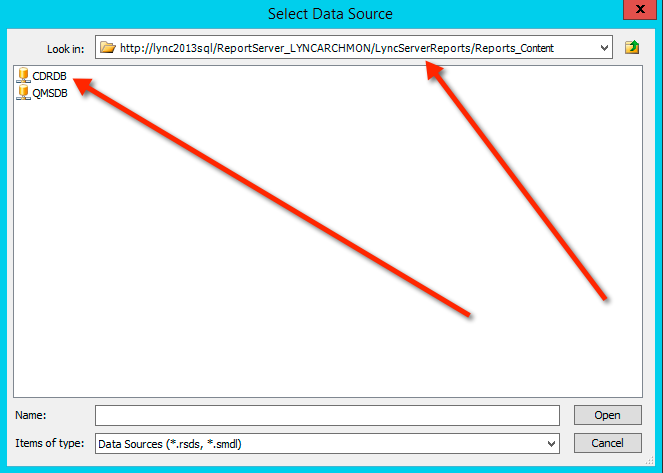 Now you will be promoted for a data source, for Lync we need to browse to the data source down the tree. Once you’ve added this information, you will be presented with a dialog which is called design a query. 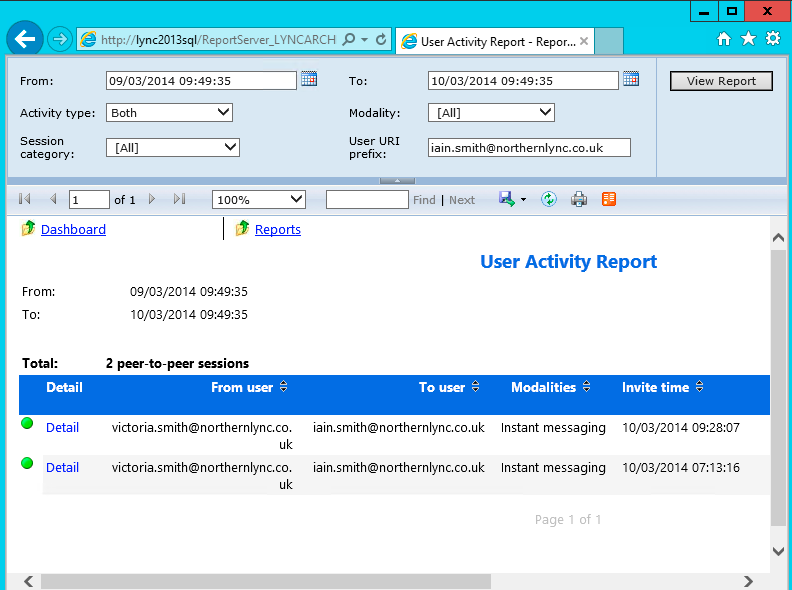 In this you can create your own report based on the information held within the Monitoring database. (everything), NOTE: it would be worth getting hold of the Lync 2013 database schema to understand all the tables available to interrogate. 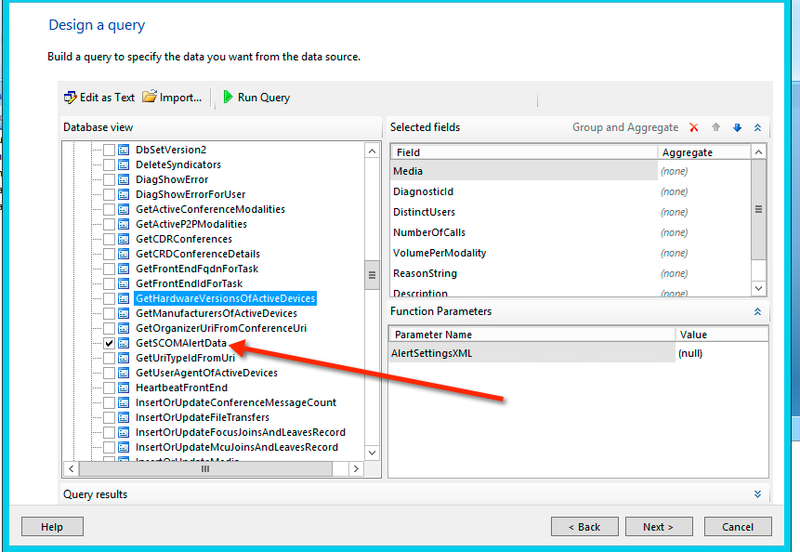 for this demo, I’m going to select a stored procedure calls GetSCOMAlertData. 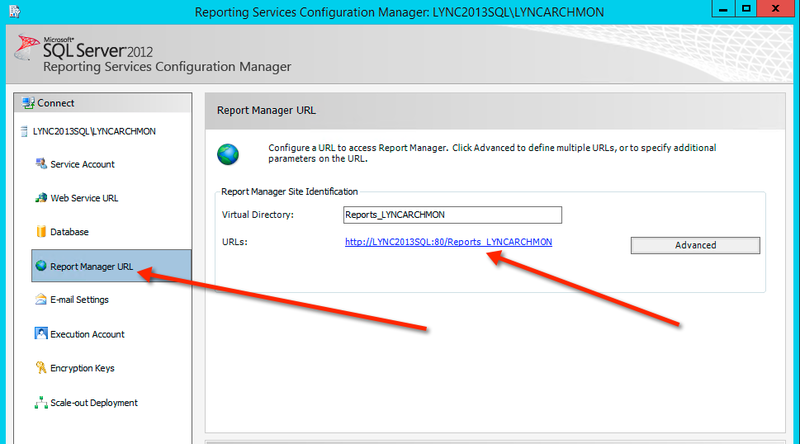 this store procedure in the report and information which is passed to the SCOM application for reporting. in this scenario you don’t need SCOM, but you can get reports on what information would have been passed. I find this useful for monitoring your Lync environment. Also you could if you already had a reporting tool ie: Crystal Reports data mine your own information onto a crystal report and interact with other internal system databases. once this is complete you can select the ‘Run Report’ button to see your finished result. If your not happy you can go back and redesign the report as you wish. As i say there is a whole raft of information available to report on, so before you start i would suggest you have the report requirements at had and also have a good understanding of where within the CDR database that information is stored. Hello all, and welcome to part 3 of the Installation guide for Lync 2013 enterprise edition with all the extra features enabled and working. In part 3 we are going to go into install the WAC server (web access server), and the Achiving and Monitoring plus testing to ensure all is fully functional. Be sure to look back soon for part 4!! If your unsure whats gone on before part 3 i.e. : part 1 and 2 select the links below. Enjoy the guide and i look forward to any feedback and retweets! Once the modules have installed if your are running windows 2008 you will be prompted to restart the server at this point. Now at this stage run the setup.exe. Double click it to run the .exe file. Accept the terms and conditions and away you go. ——- The WAC server setup is now complete. So at this stage we need to go back to the Front-end of Lync 2013 for the topology and adding our WAC details within it. select the new office web apps server option. Now publish your topology. Once you’ve published and its come back error free. your complete.. Now its time to test the powerpoint presentations. The first step is to add the required details back within the topology. So open and save your topology, then navigate to your enterprise edition pool and right click to edit the properties. Once you get the successful publishing of your topology, its time to rerun the deployment wizard on your frontends to add the archiving and monitoring services. As you can see we don’t have to run step1 or 3 as we already have the local CMS store homed on the frontend. And for step 3 we don’t require any further certificates as Archiving and monitoring don’t require them to function. The command should complete without issue. (as below).. however if you do get errors you will need to investigate the issue before you continue. Check to make sure that the frontend service restarts successfully. you will not see individual services for archiving and monitoring as they are part of the frontend service. 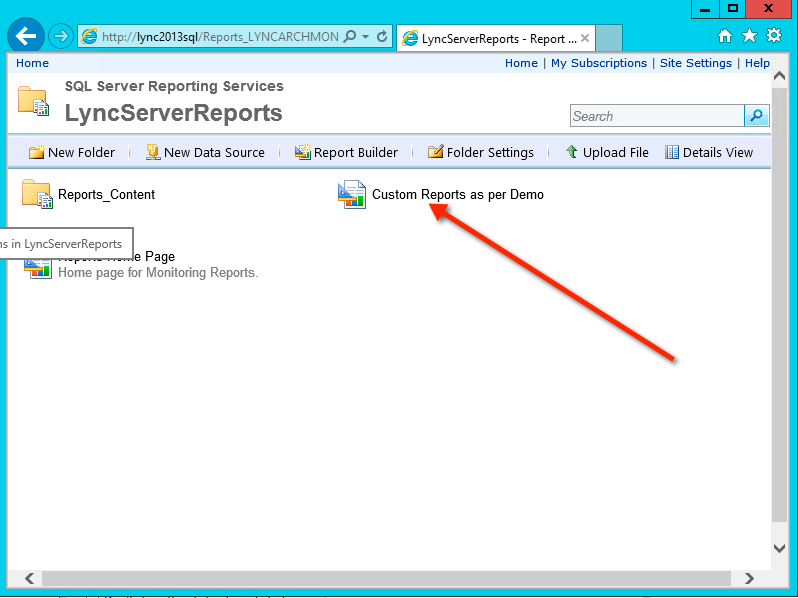 If you need to change your reporting services server, then this is the point to do so. once its run through the deployment you should be presented with a screen like below. Thats it for Part 3. check back in a couple of days for Part 4 which will be persistent chat install and configuration. Again happy to take comments, and please retweet.! A new round of updates has hit the cyber shelf earlier in the week. At this point I’m not sure exactly what the updates bring. Enhancements or Bug fixs? who knows. This blog is a quick one with key information in a small number of lines. Today i was asked by a client for help with a self installation of Lync archiving and monitoring server which had gone wrong. In truth the Archiving was just a case of policies within the lync control panel as the install was correct. However on the monitoring side of things the client had installed the relevant modules from the lync deployment wizard but was then getting an error when selecting to install the monitoring reports. This is not unusual and the error presented to the client is one I’ve seen a few times before, and i can say now its all down to permissions on the SQL instance for Monitoring. 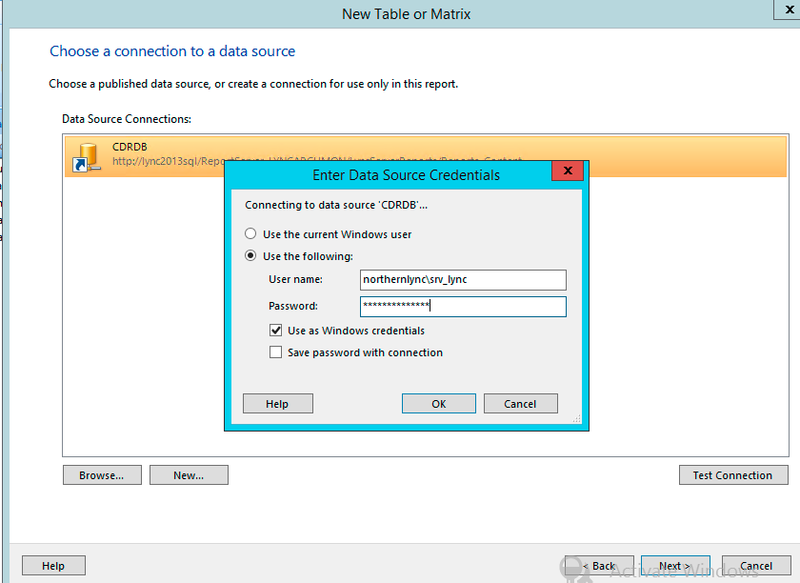 Whatever you enter here has an knock on effect on whether the install is successful, for example if you add your domain <northernlync.local> and account which you installed lync with <srv_lync> then you need to make sure that this same account has an account with permission on the LDSCDR and QOEmetrics databases on your SQL instance. Inevitability if you don’t have these permissions for the user account you enter you will get the error “Exception calling “Create” with “0″ argument(s)” when trying to install the monitoring reports. So to be clear, just add permissions to your account to the LcsCDR and QOEmetrics and you should be good to go.